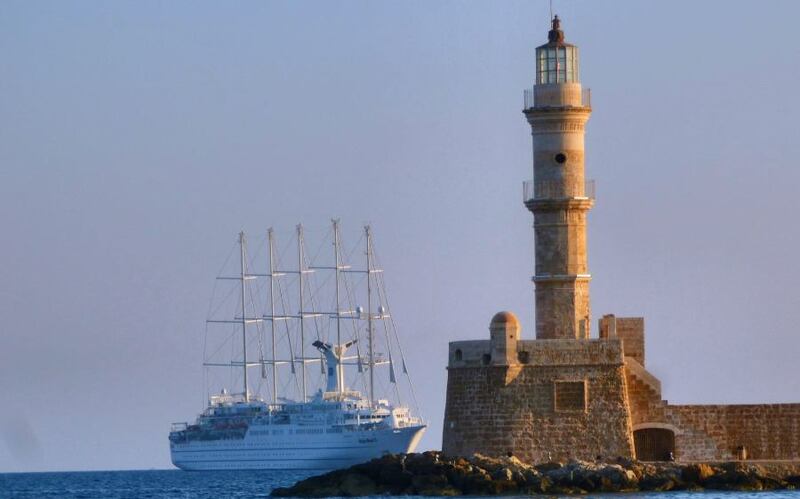 The largest sailing ship Club Med 2 cruise ship moored morning open the Venetian harbor of Chania. The luxury ship with 260 passengers arrived in Chania, from Gythio and will travel to the next station which is the port of Heraklion at about 12 at night. The sailboat cruise ship owned by the same name known French tourist company, has five masts, which electronically controlled, with the total sail area is 2,400 sq.m. To sailboat has length 194 meters, width 20 and draft 5 can accommodate at 8 decks of 384 passengers, served by 214 person crew.